Product is weighted, it may not be exactly 60 pills but the product is 30 grams in total per bag, perhaps 0.6 to 0.7 sometimes in one pill and 0.4 to 0.5. 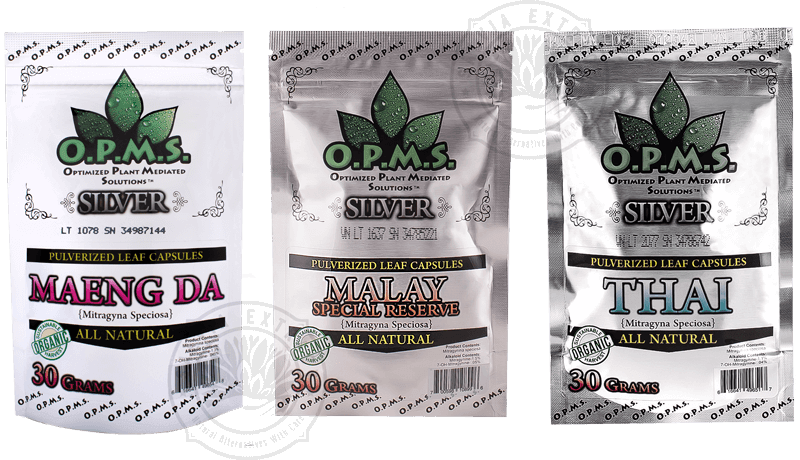 OPMS does not provide us with exact specifications on dosages per pill and you need to factor in human elements here its no machine that packages these products but humans. The weight is guaranteed. The product description says that a bag is 30 grams total, there are 15 capsules, and that each capsule is 0.5 grams. 15 capsules at 0.5 grams each would be 7.5 grams total no? For the past 3 years I’ve been drinking a 12 pack almost every night. I have Cystic Fibrosis and I have mild depression (or so I have been told but I think it was the alcohol.) I was at my breaking point with alcohol and my Fiance (at the time) was at her breaking point with me. It was a huge wake up call when one night she called off the wedding. I found OPMS at my favorite gas station and decided to give it a try. A week later I noticed I had alot more money in my bank account. It’s been around 2 months now, I take 2 grams of Maylay Monday, Wednesday, and Friday I can now drink socially and enjoy my life again. Hope to propose again to the love of my life. :)Thank you so much OPMS! 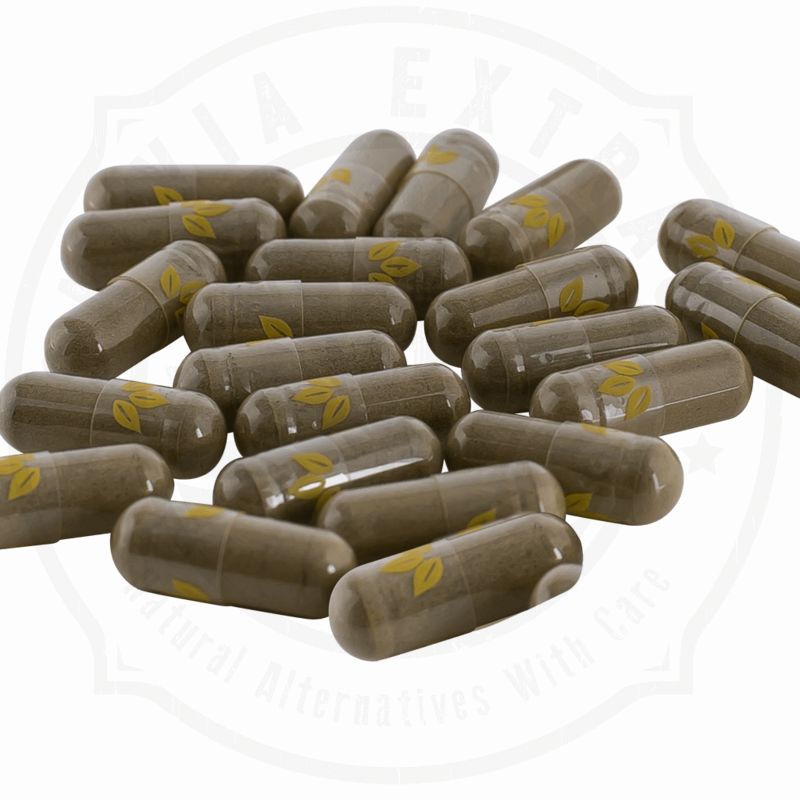 I use kratom in moderate doses just enough to help with my pain. It works great and also helps relieve feelings of withdrawal if you are weening off of opiates. Can this be taken with an antisepressants? Malay is considered to be most effective in treating depression, not euphoric, but has great mood uplifting effects. So yes. 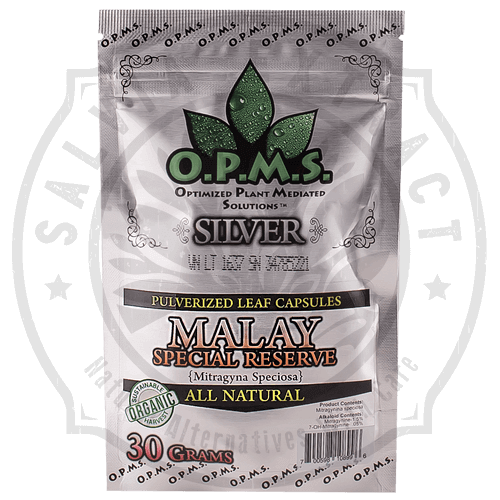 Malay Reserve has helped me with severe anxiety, insomnia, alcohol withdrawals and pain. This stuff is incredible and most of all its natural. I pray that they don’t take this off the market because it has so many benefits. @Lora I take antidepressants and kratom together and have not had any adverse affects with the combo 🙂 Just start with the smaller dose and see how you feel. It was nice knowing you, coffee! I saved these strictly for my mornings, since I had already had good results with the Maeng Da. I had read online that some people get energetic from Kratom. I decided to ditch the coffee for a week and replace it with the capsules. About 30 minutes after taking them, I noticed I wasn’t tired/groggy anymore. I didn’t think much of it because I had been out of bed over an hour– most people would be awake by then. I must say, I am impressed. I was really chatty like I had just drank an espresso and I was in a great mood. I was more empathetic and felt like a really gregarious person. It may have made me a bit scatter brained because I felt like I wanted to take on the world. My only issue with this strain (or dose) is that I may have come off fake. It made me overly chatty and more empathetic. The Silver Malay Special Reserve definitely enhanced my mornings. I feel like this a must for everyone who wakes up grumpy and relies on that morning cup of coffee to get them started. I live with SLE Lupus, pain, depression & spending 85% of the day in bed. 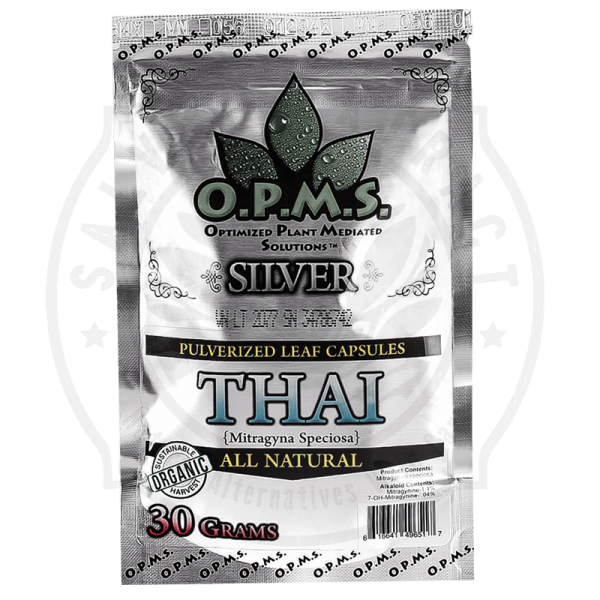 Two days ago my son brought me your product, OPMs Kratom Silver. No PAIN today, I was able to wash my own dishes. Thank You!! I’m 78 yrs, too many days I considered suicide. 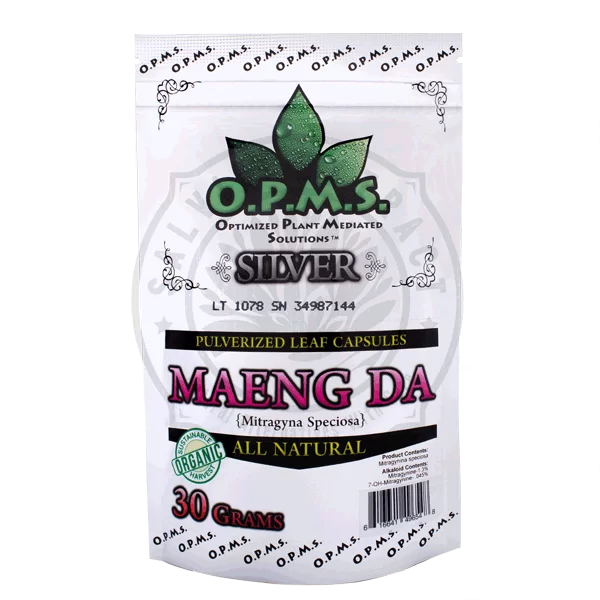 Question: Has there been any report of Kratom reducing cancer or cancer pain? Speaking from experience I am not aware that Kratom reduces cancer cells to make that claim would be speculative and incorrect at best. Kratom does reduce pain associated with cancer, the same as prescription meds would, but Kratom is all natural versus pharmaceuticals are not. I wish i could give you definitive answers we always welcome people to share their experiences with Kratom and how its helped improve their lives. If you found success with Kratom don’t be afraid to share. The quality is good, but you don’t get that much in capsule form. 30 gram bag is the best way to go. Kratom is awesome for getting off of opiates. I started with 4-5 capsules every 4-5 hours, but now can do 1-2 every 4-5 and feeling better!! Wonderful! I hope it never becomes illegal in my state! I’ve heard people say you can become addicted to this stuff, but better than being hooked on opiates! I was shocked at the relief I was given by this product. I work with my hands and pain is a constant but with the help of this product and this great company this is no longer a factor. The shipping was fast and they are very Quick to reply to you. Thank you Josh for your kind words and we hope to be able to continue helping you in the future. A happier and pain free life!